Nagpur is the second capital of the Indian state of Maharashtra and it is the seat of the annual winter session of the Maharashtra State Assembly. The Nagpur city is the 13th most populous city in India. According to a report Nagpur has been identified as the best city in India in terms of Liveability, public transport, greenery and Health care indices. The top engineering college’s lists in Nagpur have been rated on the basis of several factors including placement, infrastructure, education standard, academic facilities etc. We have tried our level best to cover maximum colleges providing and will keep trying to do so. 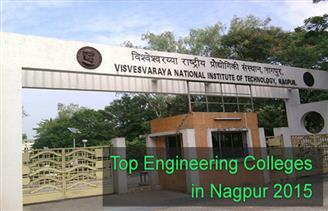 The best Engineering institutes in Nagpur are covered here. If any Engineering institute in Nagpur is missing in this list, kindly inform us using our Contact Form. Students studying in engineering colleges in Nagpur can also write reviews and feedback about their Institutes so that it will be guiding torch for other students. In this page you will get information regarding, fees structure, admission processes, placement details, Hostels fees, and other campus facilities of Engineering Colleges of Nagpur.